Sukacita dimaklumkan bahawa terdapat pelbagai kekosongan jawatan UNIVERSITI TUNKU ABDUL RAHMAN,akademik dan bukan akademik berikut. 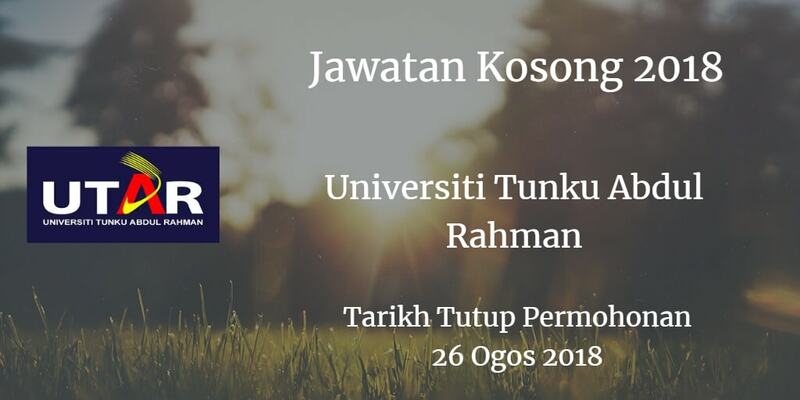 Peluang kerjaya di UNIVERSITI TUNKU ABDUL RAHMAN . PhD / Master’s / Bachelor’s degee in related disciplines. Strong interest and expertise in teaching, research and be involved in scholarly activities. Candidates without PhD but with good teaching. research and publication record from reputable universities may be considered. Counseling: Master’s degree in Counselling and must be a Registered Counsellor with the Lembaga Kaunselor Malaysia. Banking and Finance: Credit Analysis and Lending / Business Finance / financial Markets and Regulations .